When it comes to establishing paternity, there are different approaches to the situation. A single mother may attempt to locate the father of her child. A father, after having a fallout with the mother, may try to claim his parental rights. Regardless of the situation or the circumstances, establishing paternity is in the best interest of the child. In today’s society, having children born out of wedlock is an everyday occurrence. The days of being penalized for fornication are behind us. But the drastic increase of children conceived by unwed parents has resulted in a rise of cases filed that involve paternity. It is important to note that even if a father’s name is on a birth certificate, that does not grant the biological father any legal rights in Florida. 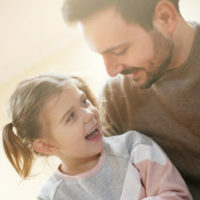 Comparatively, even if paternity is established, the biological father has no right to time-sharing until a parenting plan is issued by the court. A reliable paternity lawyer in Boca Raton can explain to his or her client the intricacies of paternity in Florida. In the court system, there is a difference between a child’s biological father and the father recognized legally. Comparatively, the identification of the biological father is a straightforward process. From a biological standpoint, he is the man with whom the child was conceived. However, establishing who the legal father is can be a bit more complicated. Regarding the child, he is the person who has the rights and responsibilities. The child’s legal father is typically determined by adoption, marriage, or a ruling by the court. More often than not, the father biologically and the father legally are the same individual. For example, if Mark and Melissa are married in 2017 and a year later, the couple have a daughter, then Mark is the legal father, and may be the biological father, as well. Now let’s look at another example. Mark and Melissa have a relationship, but never marry each other. Melissa becomes pregnant. Before giving birth to their child, Melissa reconciles with her ex and marries Brett before Mark’s child is born. In this example, Mark is the biological father, but Brett is the legal father. To further the example, consider Mark and Melissa have a child, but never marry. They stay together for some time and a court finds Mark to be the legal father of their child and issues a court order stating exactly that. In this instance, Mark was initially the biological father, but then became the legal father. The establishment of paternity can be overflowing with complexity and tasks that are very time consuming. The presence of unforeseen ramifications for the mother or father is a real possibility. Attorneys at WiseLieberman, PLLC will work diligently to ensure that, once paternity is established, the parties involved understand not only their rights, but their responsibilities to the child as well. Contact us today in Boca Raton for help.